Are you tired of plucking and waxing your eyebrows? What about shaving your bikini line? 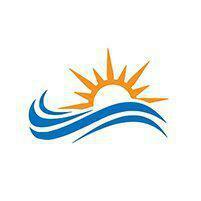 At New Day Aesthetic Medicine, Eric Jorgenson, ND, offers a solution with laser hair removal. With an office located conveniently in Hood River, Oregon, Dr. Jorgenson and his team help you eliminate the need for routine hair removal. To see if you’re a candidate for laser hair removal or to schedule your initial consultation, call the New Day Aesthetic Medicine office today, or go online to book your appointment. Laser hair removal harnesses the power of laser light energy and focuses it directly into your hair follicles, safely and effectively reducing your hair growth. This energy increases the temperature in your hair follicle, constricting the follicle and inhibiting further growth. Over time and with subsequent treatments, your treated hair follicles cease to grow hair. As they approach this final stage, your hair remains constricted and cease to grow, becoming thinner and lighter. Laser hair removal is most effective when there’s a noticeable pigment difference between your skin and hair, as with darker hair and lighter skin. To prepare for laser hair removal, Dr. Jorgenson recommends that you avoid waxing, plucking, and tweezing your treatment area for at least six weeks prior to your laser hair removal. When you pull your hair out, it pulls out the hair bulb. Without this bulb, the laser energy can’t focus on the hair follicle, and the treatment becomes less effective. Along with not pulling out your hair, Dr. Jorgenson also recommends avoiding the sun and tanning beds for at least one month prior to your appointment. This is important to reduce your risk of burns and permanent pigment damage. If you’ve had shingles or cold sores in the treatment area, you might need a prophylactic antiviral prescription before starting your laser hair removal treatment. Dr. Jorgenson can prescribe any essential medications, if needed. Lastly, you won’t be able to get laser hair removal in areas where you have tattoos, primarily because you risk irreversible pigment and skin damage. To ensure laser hair removal is right for you, Dr. Jorgenson offers complimentary consultations to assess safety concerns and design your treatment plan. 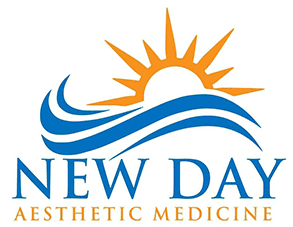 When you arrive at New Day Aesthetic Medicine for a laser hair removal treatment, Dr. Jorgenson begins by preparing your skin for the process. The laser hair removal device features an integrated cooling plate to keep you more comfortable during the procedure. Before the treatment starts, you’re given eye shields that you must wear for the duration of the procedure. Once everyone is prepared, Dr. Jorgenson stretches your skin taut and uses a handheld device to deliver the laser energy to your hair follicles. Because of your natural hair growth cycle, Dr. Jorgenson recommends four to six treatments 6 weeks apart, to get optimal hair removal. If you’re ready to throw your razors away for good, call New Day Aesthetic Medicine today to schedule your appointment. You can even book online.